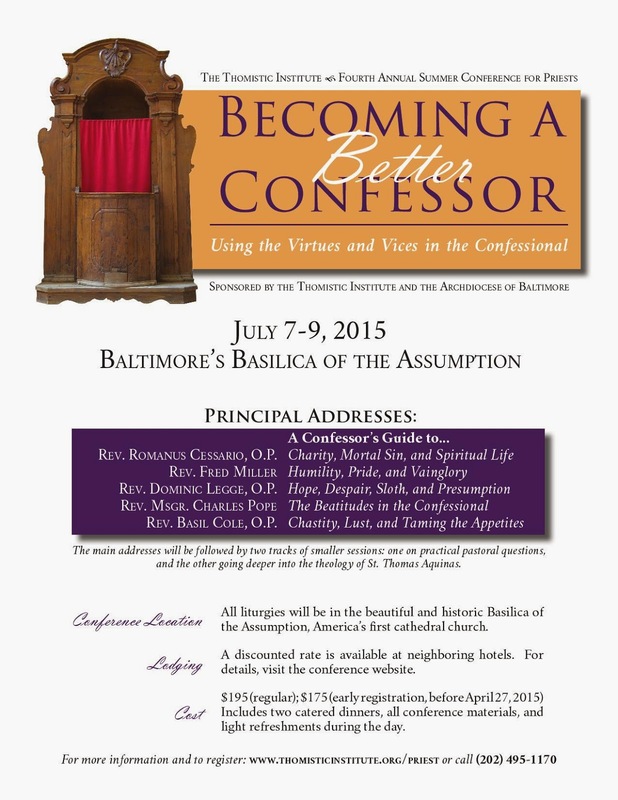 From July 7-9, the Thomistic Institute (an apostolate of the Dominicans’ Eastern province) will be holding its fourth annual Conference for Priests at Baltimore’s historic Basilica of the Assumption. The conference is titled “Becoming a Better Confessor: Using the Virtues and Vices in the Confessional”; Mass, Lauds and Vespers will be celebrated each day, and there will be opportunities for private Masses celebrated by priest attendees. Further information is available at the conference website, www.thomisticinstitute.org/priest, and in the flyer below.